TML Solicitors Criminal Defence team can offer advice and representation in matters relating to motoring and driving licence offences. We give clear advice about the strength of evidence in a case and the prospects of success for our Clients. The Court process can be complex and it may be the first time you are faced with any type of proceedings and therefore it is important to have a knowledgeable legal team to represent you. 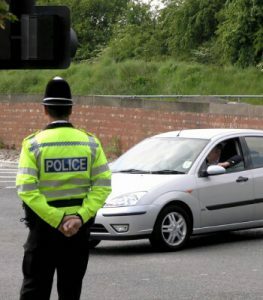 We represent Clients who have allegedly committed a range of offences such as; Death by dangerous driving, Careless driving, driving offences where you do not have sufficient proof of your ability to drive or your ability to be on the road, using a Mobile phone whilst driving or driving without a seatbelt and driving whilst under the influence of drugs/alcohol. Whatever type of offence it is, it can become serious and therefore you need representation at the outset to be able to build your case. Our Solicitors can attend with you at the Police station and continue to act in your matter if you are charged with an offence. If we have to instruct a Barrister to represent you in Court proceedings, then we have links with a number of very experienced Barristers. You should contact us on 0116 247 0022, if you have a pending interview or Court hearing. If you are attending for an interview then you should inform the Custody Sergeant of our details as we are contactable 24 hours a day, 7 days a week. We offer Legal Aid to those who are eligible.